I have been coveting this watering can ever since we saw this beauty at the store. Honestly it’s too pretty to be left outside. 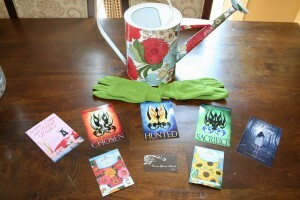 Anyway one of you lucky readers will receive the watering can, some gardening gloves and also some flower seeds. All you have to do is tell us WHY we would give this gift. What association does THIS have with the lovely Mildred? You will have two weeks from today(midnight on July 14th) to comment. At that time we will post the correct answer and the winner. Good Luck! Kristi Eggleston is the winner of the Mildred giveaway. Congratulations, Kristi. I hope you enjoy this beautiful watering can. We will be contacting you by email. Love Mildred! She is always watering her flowers on the front porch when Rose is “fornicating” or “making pornos” in the front yard with Joe while in her Walmart nightie! Lol. This is the perfect gift to giveaway for Miss Mildred. 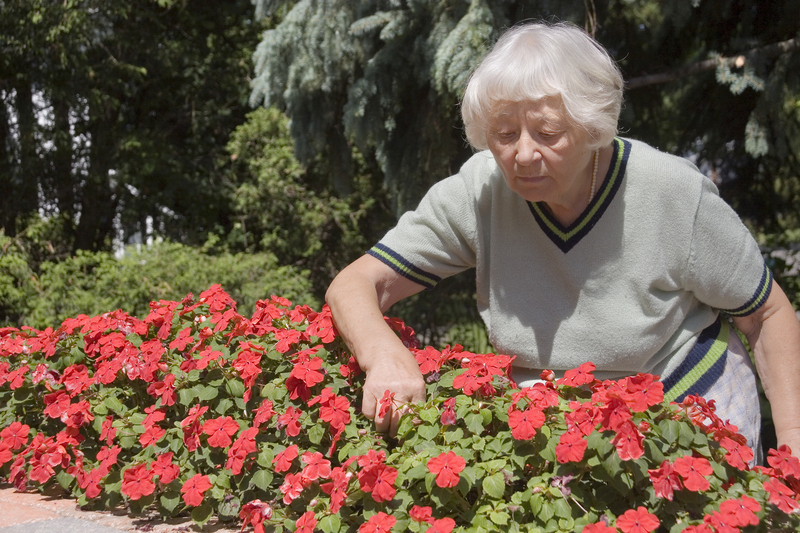 She would always step out onto her porch everyday to see what was going on with Rose or anyone is the neighborhood and when she stepped outside she would always water her plants.